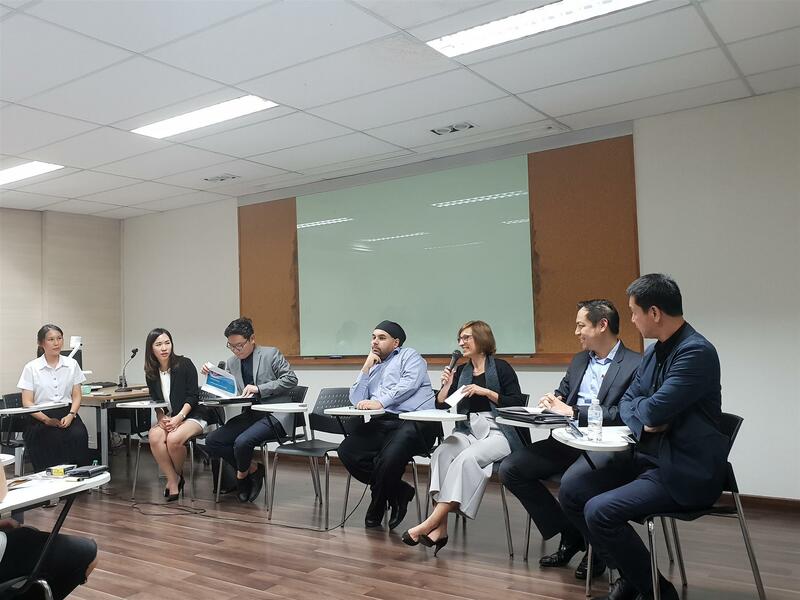 On 25 September, team members from DFDL Thailand, consisting of Audray Souche (Partner; Managing Director), Shalini Kalra (Business Development Manager), Norarat Nararujaneetanan (Junior Legal Adviser), Warisa Monsawat (Junior Legal Adviser), Pawarun Limtrakool (Junior Tax Adviser) and Gunthorn Supatadarut (Legal Intern) participated in the Law Firm Career and Internship Fair 2018 at Thammasat University, Tha Prachan Campus. Audray Souche participated in a panel discussion together with representatives from other law firms to guide students in their preparation for summer internship programs. The event was aimed at helping both law firms and students to find common ground in terms of hiring student interns. Discussions centered around preparations for applications, the types of work students would be dealing with, and general career development advice. 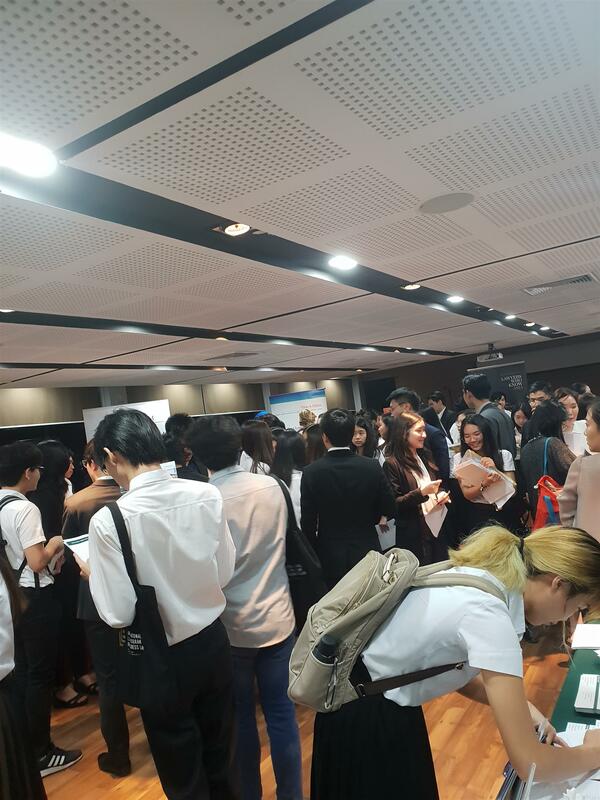 Students then browsed the various law firms’ booths for advice, information on law firms, and career ideas. 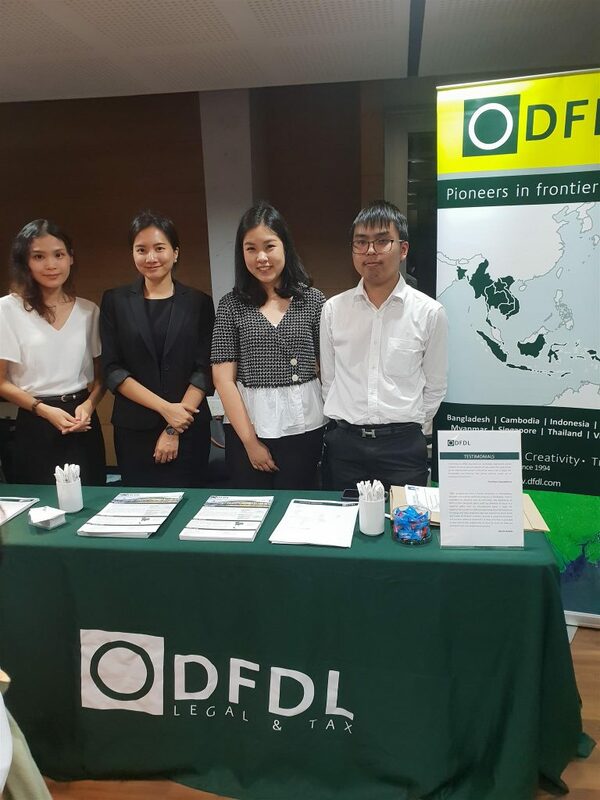 With more than 15 firms in participation, DFDL’s booth proved very popular, receiving a great deal of interest and applications.